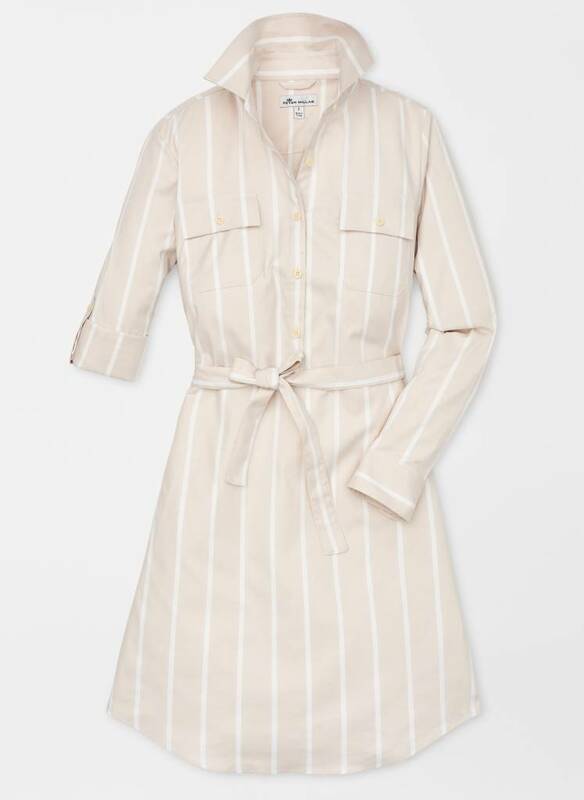 We made this charming button-up dress from an innovative cotton-spandex fabric blend for ultimate comfort and ease. It’s designed with two flap chest pockets, roll-up tab sleeves and a self-tie detachable sash belt. 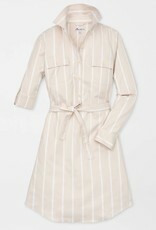 A flattering stripe pattern elongates the figure and a curved hem provides ideal coverage. Wear it around town and look stylish wherever the day takes you.